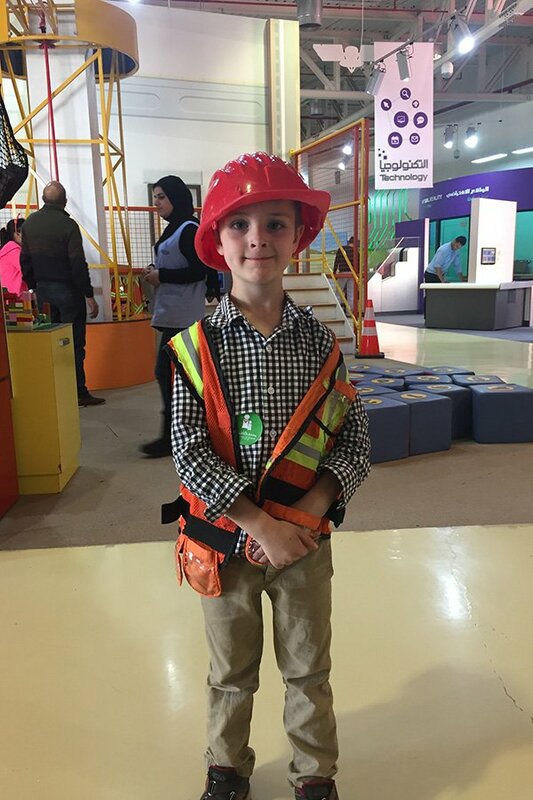 There are plenty of fun activities in Amman for kids, but they are not always easy to find, especially if you do not speak Arabic! I have spent months in Amman over the last three years, despite dozens of people asking me “Is Jordan Safe?”. 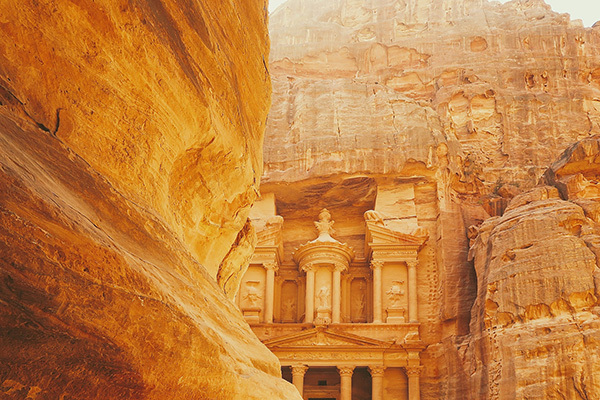 The first time I visited, I barely had time to see the major sites before moving on to Petra and Wadi Rum. The second time, we rented an apartment near the 7th circle and did a bit of exploring, but did not uncover everything. You can read the start of my posts about renting an apartment here. 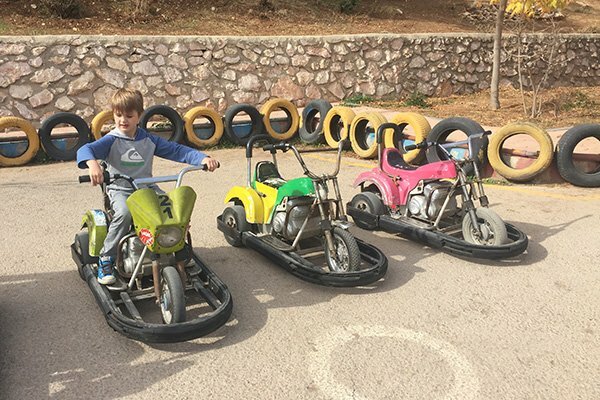 It was not until our third extend visit in Jordan that we found some of the best places in Amman for kids. 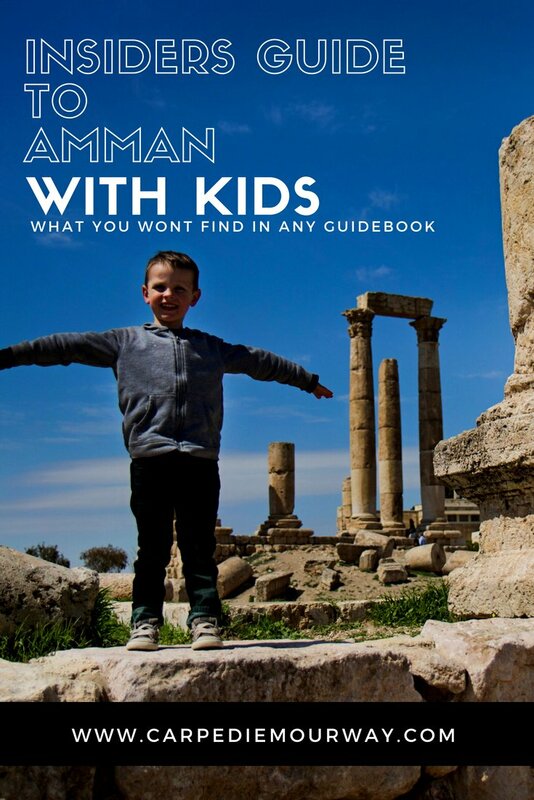 Fun Activities in Amman with Kids that you will NOT FIND in ANY Guide Book! 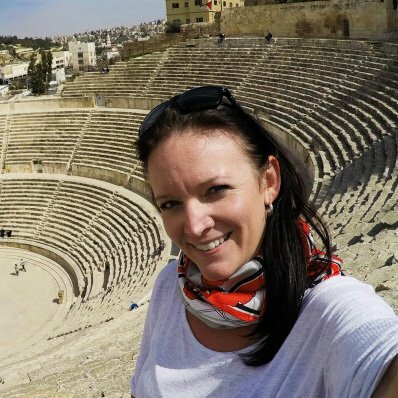 If you are looking for a general guide of Amman, check out my post Top Things to do In Amman. 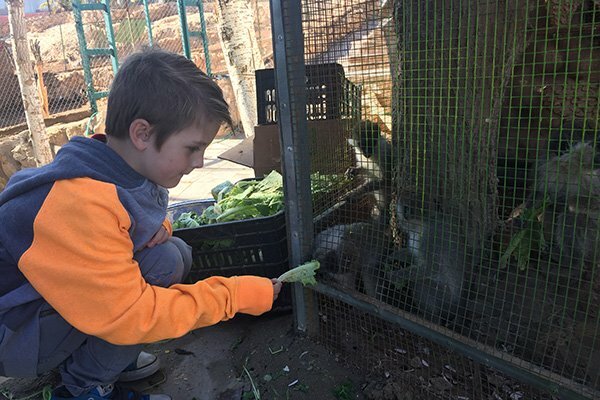 This post specifically has things that you will not find anywhere else when you visit Jordan with kids. I expect on your visit you will put the Citadel atop Jabel Al-Qaia on your must-do list. (make sure you note Jabel Al-Qaia down if you are taking a taxi. The locals know it as the name of the hill. Jabel means hill. If you happen to get a driver who does not speak English, he will have no idea what the Citadel is. Yes I had that problem. Thankfully a quick photo of the site helped him and me out!) You should also then walk down the steps to the Roman Theatre and let the kids run around taking in the views. A walk in the souq and a meal downtown is also fun, but I expect your Jordan visit to be jam packed with plenty of exploring a totally different culture than your own. For that reason, I have put together a list, with google pins, of places to take your kids to let them be kids! 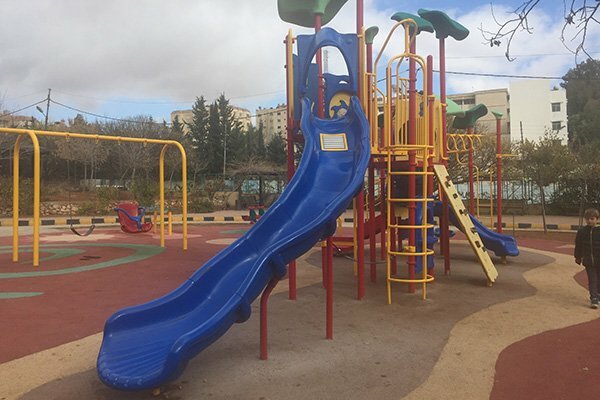 There are some great playgrounds in Amman, and some pretty sad looking ones too! Unless you get lucky and happen to drive by a great one, you probably will not find these. The Garden of Prince Hashem is more than a garden. 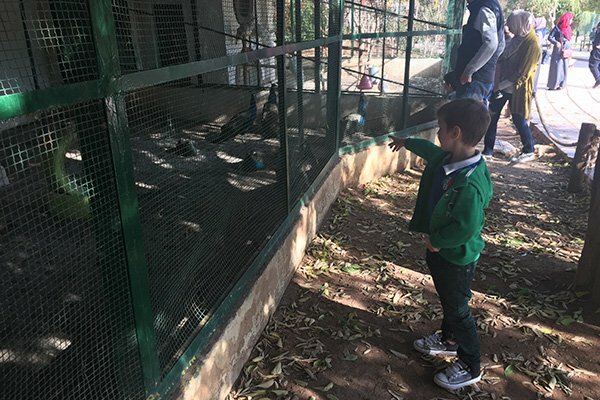 I refer to it as “The Bird Aviary” and it is one of the great parks in Amman in Shimesani District (off the 4th circle). It is popular with locals, especially on the weekends and has a great playground in the centre of the park. Around the outside of the playground there are various birds from exotic foul to chickens and pigeons. Inside the park there is a small stall selling snacks and treats for kids as well as tea. 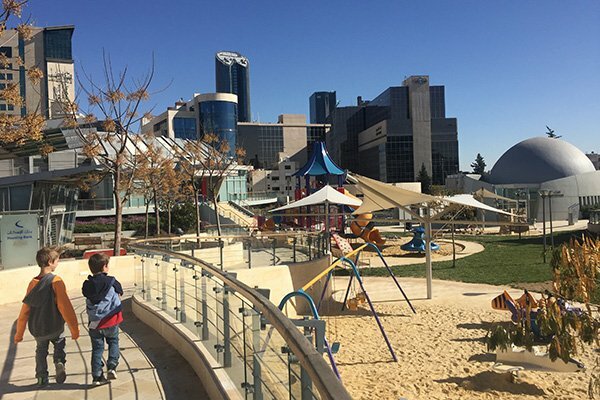 the fun activities in Amman would not be complete without including the public park outside Sport City with the go karts and great playground! 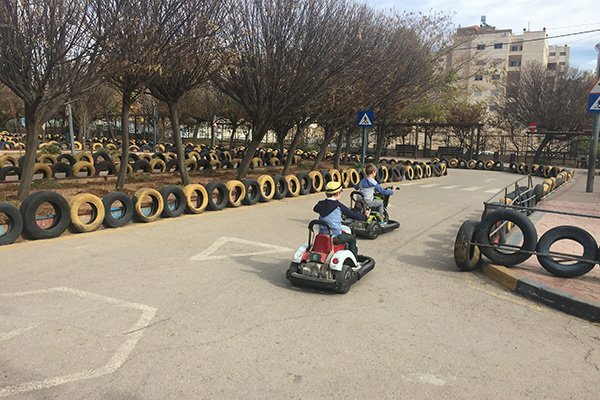 There are a few private go karting places in Amman. They cater to adults and older kids. This one is a public park, again with a very nominal fee and then the kids play per lap. Inside the park there are also two play grounds. The one thing to note about this park, is that the go karts cannot be used when the track is wet or if there are any puddles. You would think that you are in the desert and there is no rain, but Amman does get rainy weather and we unfortunately, were not able to use the track once as it had two puddles left from the weather the day before. 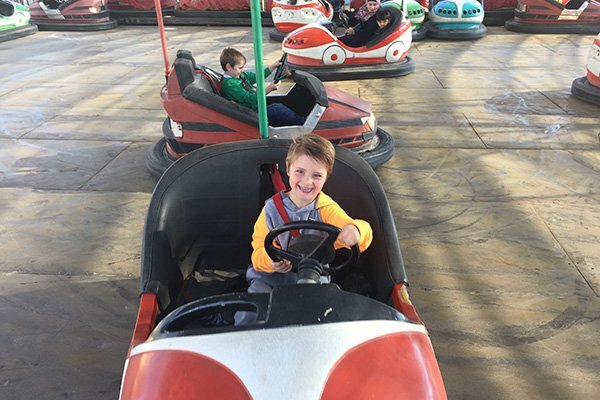 These Go Karts are for about ages 4-8 and drive like a motorcycle. It took my 4 year old a lap r so to figure out the throttle but after that he was zipping along! They do not go too fast and they also can follow road rules with stop signs and crosswalks on the track. My kids were the only ones there so they raced around and around. Next to the Go Karts are two awesome playgrounds! 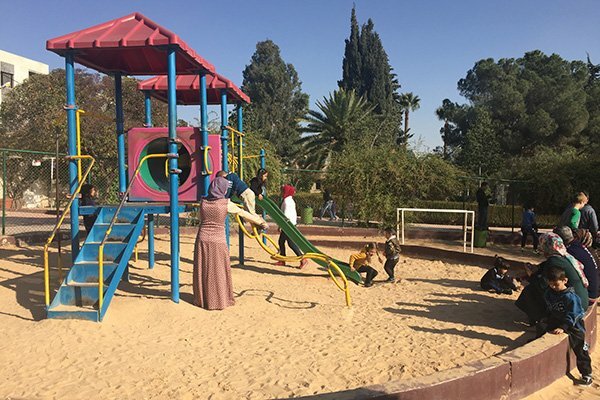 Both playgrounds in this park in Amman were in great shape! This one is not as easy to find as when you google Go Karts, you do not get this park. But it is located near Sport City as you can see in the screenshot below. 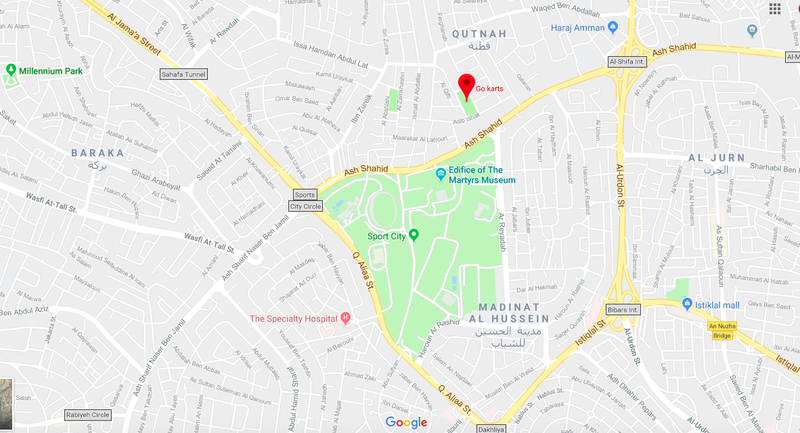 When you google “Sport City Amman” you will see the small green space where my pin is. If you are taking a taxi you can show him this and you should end up at the right place! 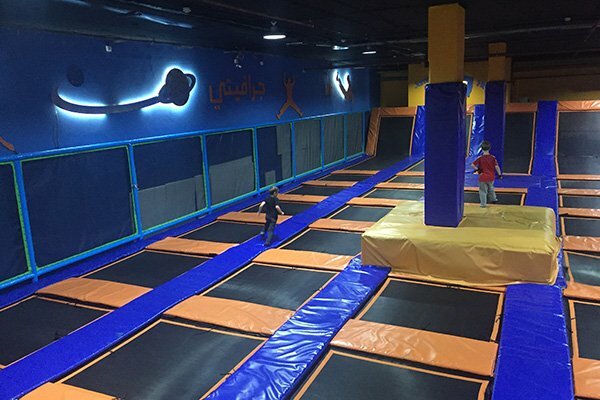 With over 100 trampolines, Gravity Amman is one of the top indoor play areas in Amman. It has the best trampolines that I have found while here! Their prices are 15 JD for a one hour jump, but it is for sure one of the fun activities in Amman. 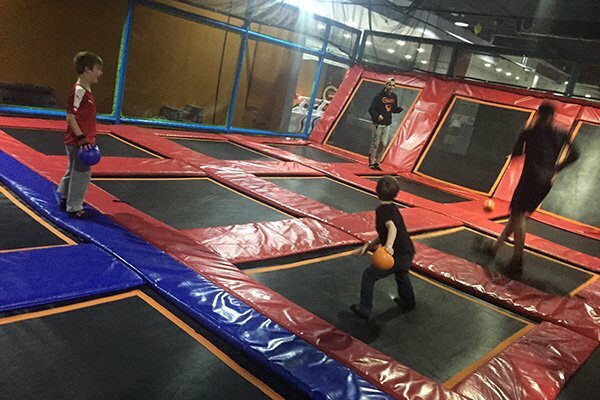 They have a dodgeball court, a ropes course, a ball pit and tons of interconnected trampolines! We went there because it was too cold outside, but it is also great when it is too hot outside. Located in Mecca Mall it means you can get a snack or do some shopping while the kids play which is nice as well! Gravity Amman is located inside Mecca Mall in Amman ( Abdullah ad Dawud) and is on the top floor of the mall near the rainbow coloured stairs. 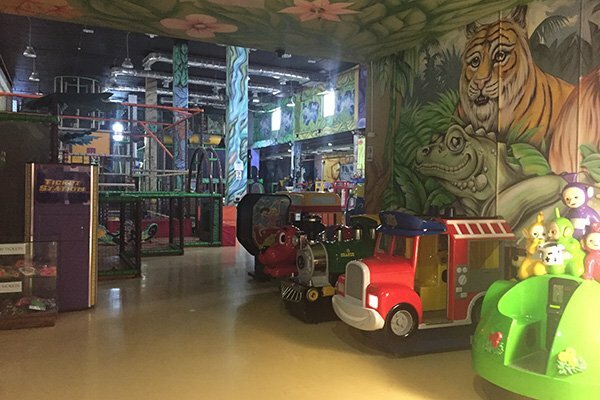 Also in Mecca Mall is another of the popular indoor activities in Amman, Jungle Bungle. 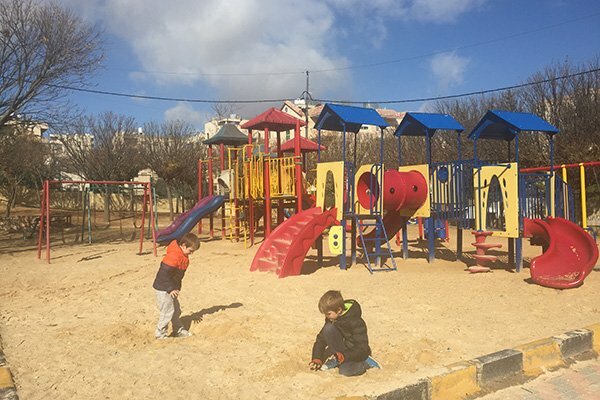 This play area is great for kids when you want to get out of the hot sun, or escape the cold weather. When we travel, I always make sure the kids have some time to just be kids. Jungle Bungle also charges for an hour of play, it is less than 10 JD. Jungle Bungle Playground Amman is located inside Mecca Mall in Amman ( Abdullah ad Dawud) and is on the top floor (4th floor). 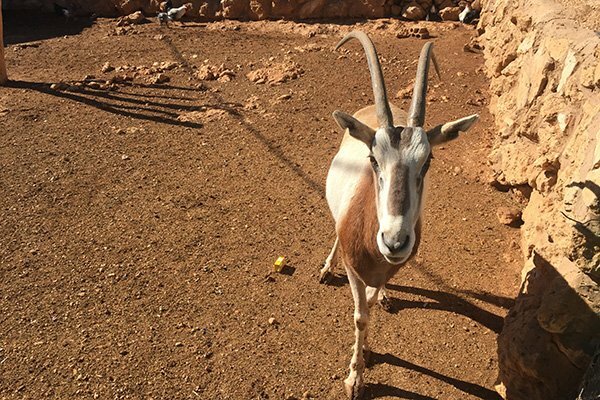 Privately run, the zoo is another place to visit if you are in Jordan with children. There are several exotic animals as well as rides. For JD3 you get entrance into the zoo and each ride is half or one JD. Next to the zoo there is a huge park where you will find families out picnicking on the weekends when the weather is nice! It is not a usual stop for tourists and no one who was there when we visited spoke English however the staff was very friendly. Whenever I run into this problem, for example, when buying tea at a roadside stand, I usually hold out 1-2JD worth of change or a few 1 JD bills and some change and ask “how much” that way. I included this one as it is in Abdali, one of the up and coming neighbourhoods in Amman. 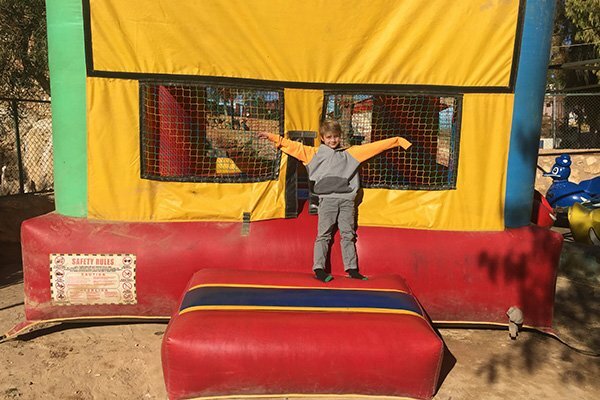 There are also various other activities for kids here, but we only came to spend some time on the playground. 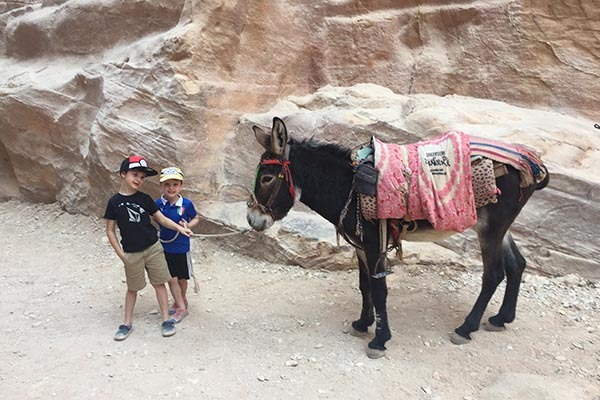 My kids favourite things overall in Jordan were playing with the donkeys in Petra (and hunting for kittens), riding in the back of a 4×4 in Wadi Rum and then camping in a bedouin tent, getting covered with mud at the Dead Sea and the go-karts and trampoline park in Amman! If you are planning a trip to Amman and have any questions feel free to reach out!